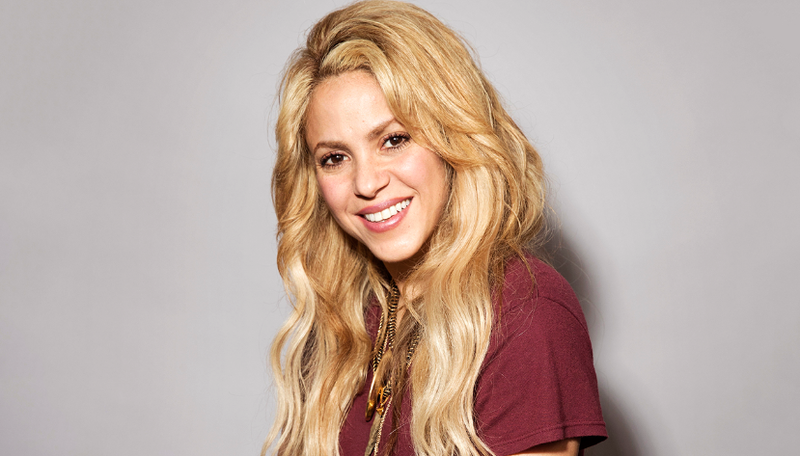 One of the well-known Colombian singer, songwriter and dancer is Shakira Isabel Mebarak Ripoll who is famous as Shakira. She is the Hollywood star and one of the famous belly dancer as well. She has received numerous awards as 5 MTV Video Music Awards, 3 Grammy Awards, 7 Billboard Music Awards, 39 Billboard Latin Music Awards and also been Golden Globe-nominated. She served as the coach on the fourth and sixth season of American version of The Voice in 2013 and 2014 respectively. Shakira’s full name is Shakira Isabel Mebarak Ripoll. She is born on 2 February 1977 in Barranquilla, Columbia. Her father name is William Mebarak Chadid and mother name is Nidia Ripoll. She is the only child. The name Shakira is Arabic which means grateful. She was raised Catholic and attended Catholic School. When she was four years old she wrote her first poem titled as La Rosa De Cristal/ The Crystal Rose. She also did belly dancing when she heard doumbek (traditional drum used in Arabic music). Due to her hyperactivity (ADHD) she was often sent out of the class. At the age between 10 and 13 she was invited to various events in the town. She was a talented girl from the very beginning only. She impressed the director by performing three songs for the executives and which led her to sign to record three albums. Shakira height is 1.57 m and weight is 53 kg. Her hair is naturally brown but she is dying it to blonde and eye is of hazel color. She has the balanced and healthy body. In 1990, when Shakira was only 13 years old she made the debut album named as Magia which was recorded with Sony Music Colombia. The songs were the collection made by her since she was eight. But the album got released on June 1991 due to the lack of cohesion in both its recording and production. She got invitation to perform in various festivals. Then she released her second studio album titled as Peligro which was released on March. She starred in the Colombian TV series as well in 1985. She then released her album Pies Descalzos which brought her great popularity in Latin America. In Portuguese she recorded three tracks. In 1995, using musical influences from a number of countries Shakira returned to recording music under Sony Music in Columbia. She then recorded for her third studio album named as Pies Descalzos. The album got released in February 1996. It reached on top 5 on the U.S. Billboard Top Latin Albums chart. It also got certified as Platinum Status on 1996 by RIAA. She went to her first international tour on March 1996. She received the three Billboard Latin Music Awards for Album of the year, Video of the Year and Best New Artist. Her fourth studio album titled as Donde Estan Ios Ladrones also got released in September 1998. She received her first Grammy Award nomination in 1999 for Best Latin Rock/ Alternative album. She also earned the Grammy Award for Best Latin Pop Album in 2001. She was also nominated for Album of the Year, Best Pop Vocal Album, Best Female Rock Vocal Performance, Best Female Pop Vocal Performance and Best Short Form Music Video in which she won two awards. Shakira began working on English crossover album. She also started learning English. She then recorded her fifth studio album between August 2001 and February 2002. It became international success by reaching number one in most countries. She also wrote a song for the movie. She released her fifth studio album in 13 November 2001 which was titled as Laundry Service. The album got triple platinum verified by RIAA in June 2004. In September she won the International Viewer’s Choice Award at the MTV Video Music Awards. She also won the Latin Grammy award. Later she also won five MTV Video Music Awards Latin America. She also released her Spanish greatest-hits compilation titled as Live & Off the Record in 2004. Shakira released her sixth studio album titled as Fijacion Oral, Volumen Uno on June 2005. She became the first artist to perform a Spanish Language song at the MTV Video Music Awards in 2005. The album earned the certifications as Platinum in Venezuela and triple platinum in Colombia. She won her second Grammy awards in 8 February 2006. She received four Latin Awards in November as Record of the Year, Song of the year, Album of the Year and Best Pop Vocal Album. She also released her seventh album and second English studio album. She then wrote lyrics and composed various songs and made the duo with various artist. She became the fourth top earing female artist in music industry in 2008. She released the album titled She Wolf in October 2009. It was recorded in All Music’s year end Favorite Album, Favorite Latin Album and Favorite Pop Album. She also collaborated with South African Group and created a song of the 2010 FIFA World cup in South Africa named as Waka Waka. Shakira released her ninth album titled as Sale el Sol in October 2010. It was included on All Music’s Favorite Album of 2010 and Favorite Latin Album 2010. She also made the remark on her tour. She released her tenth studio album in 25 March 2014. The next world cup version was also released on 27 May which was performed on 2014 FIFA World Cup closing ceremony. Shakira worked on her eleventh album and released it on El Dorado in 15 September 2017. It was certified gold by Spain. She also made her tour to perform in Hamburg, Germany on 3rd June,2018. Shakira was in a relation with Antonio de La who is Argentine lawyer in 200 but ended in August 2010. After she entered a relation with Gerard Pique who is the Spanish football player and plays as centre back for FC Barcelona. He also played for the Spanish National team in 2011. He is ten years junior than her. The couple has a first son named Milan Pique Mebarak who was born on 22 January 2010 and second son named as Sasha Pique Mebarak on 29 January 2015. Shakira’s net worth is estimated to be $220 million.